A sophisticated crossover that features premium materials, high-tech features and top-notch under-the-hood mechanics, the 2018 Volvo XC90 in Plano will take your drives to the next level. And while it may look compact, the voluptuous vehicle offers enough space to accommodate up to seven passengers, depending on the trim. Not only does the XC90 exude elegance and refinement, but it also offers a suite of driver-assist safety tech inside its meticulously crafted cabin. To learn even more about the sophisticated crossover, please continue reading our 2018 Volvo XC90 review below. 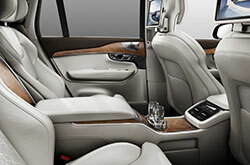 The luxurious XC990 is available in Momentum, R-Design, Inscription and Excellence, all of which come very well equipped. The entry-level Momentum includes 18-inch alloy wheels, automatic high beams, a panoramic sunroof, LED head- and foglights, and roof rails. Every detail of the crossovers cabin has been carefully crafted, as noted by 2018 Volvo XC90 reviews. Inside, you'll find eight-way power front seats, leather-like upholstery, navigation, Bluetooth, a USB port and 10-speaker stereo system that delivers concert-like sound quality. The 2018 Volvo XC90 in Plano is offered with three separate engines. Every T5 model employs a 250-hp 2.0-liter engine that generates up to 258 lb.-ft. of torque and is paired to an eight-speed automatic. Next up, the T6 trims utilize a 316-hp 2.0-liter supercharged and turbocharged four-cylinder motor that churns out 295 pound-feet of torque. 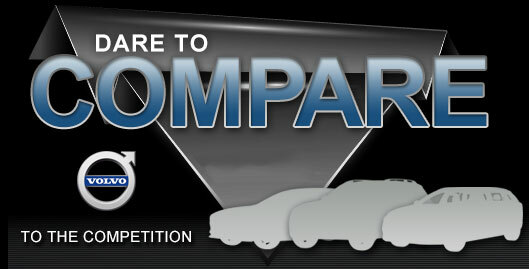 Both all-wheel drive and front-wheel drive are offered. 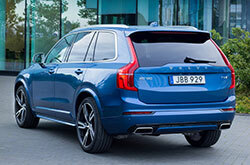 The XC90 T8 Plug-In Hybrid is moved by the same powerplant as the T6 along with an 87-hp electric engine. It can make up to 400 horsepower and 472 pound-feet of torque. he XC90 comes standard with frontal collision detection with automatic braking, energy-absorbing seat cushions and self-tightening seat belts. Other state-of-the-art safety systems include an army of high-quality airbags, antilock brakes, and traction and stability control. If you're in the market for well-equipped crossover in the Dallas area, consider the 2018 XC90, which is on sale now at Crest Volvo Cars! 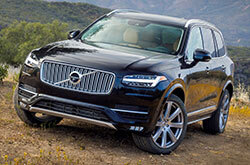 Why Opt for the Volvo XC90? Have the 2018 Buick Enclave, Volkswagen Touareg, Cadillac SRX and the Acura MDX caught your attention? Then you should also think about buying a 2018 Volvo XC90 in the Dallas area. You may realize that its polished design and cabin amenities are just what you in a daily driver. Once you've acquired the information you want for the 2018 Volvo XC90, browse our site to find information about current lease incentives from Crest Volvo Cars. Find lease offers on the inimitable Volvo XC90 at Crest Volvo Cars, a resident dealership with a desirable selection of Volvo models. 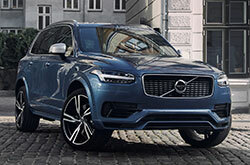 Note the facts and figures that you found pertinent after reading our 2018 Volvo XC90 review; those are the points that will shield you from making a purchase you second guess. 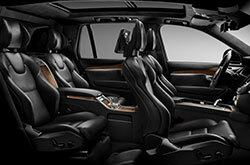 Browse our massive selection of Volvo XC90 models online. Then visit Crest Volvo Cars for a test drive. Are you curious to see it before your visit? Check out the enclosed video to view its exterior.